We are thrilled!!! 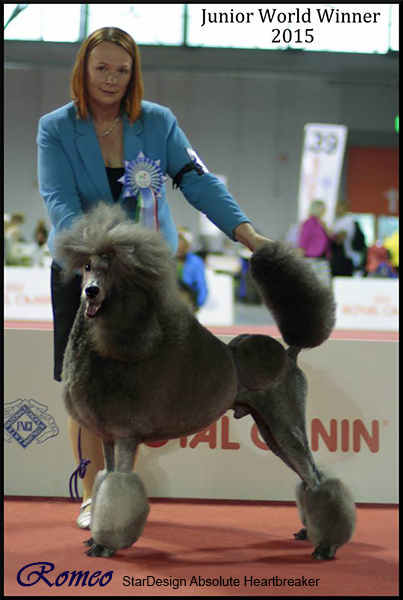 Romeo, StarDesign Absolute Heartbreaker, won WORLD JUNIOR WINNER at FCI-World Dog Show in Milano, Italy. We are so proud! 1000 times 'thank you' to his Finish owners Nina & Elina! Special thanks to French judge Mr. Roger Barenne, who is a member of the French Poodle Club's main board. This club is in charche of the FCI Poodle Standard.